Every body kept telling me to make cards….so I did! 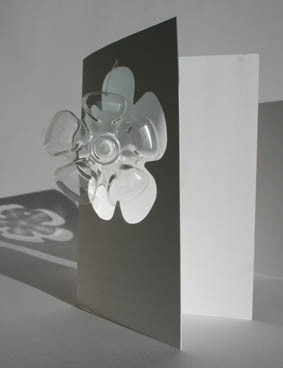 10cm x 15cm each contains a suspended bottle bottom for the centrepiece, which can be used for a decoration after use. 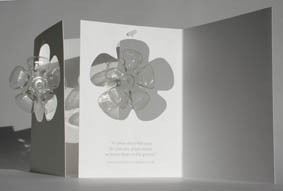 Also supplied is the cut out from the card, which makes a useful gift tag. So you get 3 things in 1, card, decoration and gift tag. The cards are made from high quality recycled card and the envelopes glue does not contain latex, so they too can be recycled.